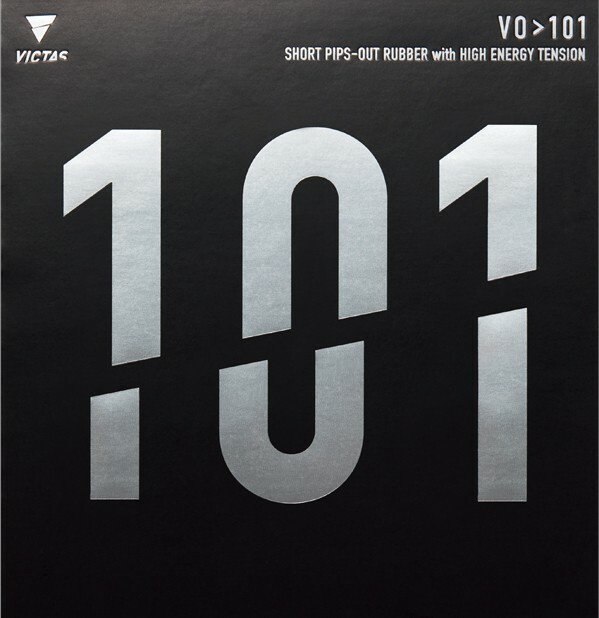 The new VO > 101 is a very fast and dangerous short pips-out rubber with built-in High Energy Tension Technology. The long experience of our Japanese pips-out exper ts and the know-how of our German researchers (GJ Tec) resulted in a high-tech rubber which leaves nothing to be desired for aggressive pips-out attackers. The new rubber sheet with optimized pips geometry produces a great pips-out effect, and the flat trajectory of the ball will put your opponent under pressure. The elastic sponge combined with our High Energy Tension Technology opens up new dimensions of speed development in the pips-out segment. Table tennis 11 delivery speed is awesome. I used Victas VO 101 for my backhand. It is fast, lower throw angle and more deceptive than Warran. So if you're in transition from inverted rubber like me, it'll be a bit harder and need more time to get used to. But this can be a dangerous rubber once you have mastered it. I only used it for a few weeks and have no idea what I was doing when playing matches, my opponents didn't like my backhand shot. Spin and soft, is quite different from VO>102, VO>102 is more easier to handle for short pips player. Excellent pip for attacking. Good speed, control and spin. Easy to hit short chop balls. Victas advertised this as faster than 102, i dont think so. 101 is harder to use than 102 but deception is greater. 102 is easier to use however not much deception. 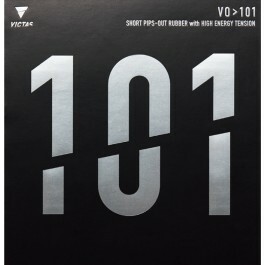 102 will be a better short pimple for transition between inverted and short. While 101 is for the more experienced players. However, when using 101 to block and attack the ball comes back deadly. It is also less reactive to spin.